Read our Terms & Conditions before booking your executive car chauffeur service. If you make payment by credit or debit card, the charge on your credit card statement will be shown as ‘The Chauffeur Group’. Car parking charges that are necessarily incurred in order to fulfil a booking will be charged at cost except where this cost is incorporated into our Airport Meet & Greet service charge. If a booking is cancelled within 1 hour of the requested pick-up time we reserve the right to make full charge for the journey. If however the pick-up location necessitates the car being despatched more than an hour before the pick-up time we again reserve the right to make full charge for the journey. The Chauffeur Group will endeavour to ensure vehicle(s) arrive at the time and place requested. We cannot however accept responsibility for delays caused by circumstances beyond our control, such as mechanical failure, traffic jams, traffic accidents or extreme weather conditions. Nor do we accept responsibility for any consequential loss. Non-airport collections: Except for a 10 minute ‘grace’ period waiting charges will apply from the booked time, at our current standard rate. 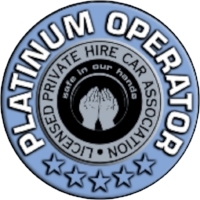 If special cleaning of any vehicle is required because it has been left in an unreasonable state by a passenger/client, we reserve the right to charge the cost of cleaning to that passenger/client.